On October 17, 2018 the week continued with First Responder Operations (FRO) for HAZMAT incidents. At this point we were familiarized with the basic knowledge of the subject and it was time for us to put our knowledge into practice. This morning PT was canceled instead at 0730 we began by getting wet, our first task was learning and practicing the process of decontaminating First Responders. We began with donning our structural firefighter PPE, and then proceeding to four stations where we would begin decontaminating each other. The rotation consisted of a First Responder decontaminating another First Responder in full structural PPE, simulating as if they had just exited the Hot Zone into the Warm Zone (decontamination area). The First Responder would have to get rinsed with water by someone in our company, in the anterior position they would get rinsed from the bottom of the face mask down to the boots, then the First Responder would turn around and the process was repeated on the posterior area rinsing from the top of the helmet down to the boots. When this process was complete, the coldest part of our day would take place. The First Responder then had to begin doffing the contaminated PPE down to their PT clothes, once this was done the rinsing would begin again, anterior top to bottom and posterior top to bottom. If you were not fully awake by this point, once you got wet you were in for a cold awakening. Luckily we were prepared with extra PT clothes so we could dry off and begin the next exercise. After a short break and having changed into a set of dry PT clothes, it was time to get wet again. We set up a decontamination corridor and ran a scenario of a mass contamination. While a handful of cadets played the role of the First Responders, the rest of us played the role of the contaminated population. The cadets playing the role of the contaminated victims wore their brush coat and pants, and as the First Responders guided us on where to go and what to do we would doff our contaminated brush coat and pants. Once we were back to our dry PT clothes we were guided through the decontamination corridor where we were rinsed with water from the top of the engine. At this point it was clear that the decontamination process is a very structured process, no matter if its for First Responders or for a mass population. After lunch we learned Technical Decontamination procedures. We were given a hazardous materials scenario requiring 4 separate Level A entries. Teams were outfitted into their suits then walked through a given corrido and performed their designated tasks after entering into a large conex box with victims and an overturned, leaking 55 gallon drum. A 3 pool decontamination process was completed after every entry. Cadets assigned to the Decon Team were also dressed in Level A. All the players of the scenario moved through each of their tasks. When the entry team returned to the cold zone, their vital signs were taken to confirm readings were normal. The day concluded with our Hazmat exam, where it was time to put our understanding of the subject down on paper. We spent a majority of the day getting wet and getting other people wet but it was all part of the learning process, it was a challenging but fun day that really helped bring the subject of Hazmat full circle and into conclusion. Arriving to OCRFA on October 16th at 0630 with some coffee to wake up before a long day. The daily routine usually starts off with cadets staging their gear in front of the apparatus bay neatly but today we were informed to be in the classroom by 0700 for continued classroom lessons on Hazardous Materials. We learned the different duties each type of responder would perform and consider when handling incidents. We referenced the ERG (Emergency Response Guide) frequently and case studied multiple incidents. We worked from a checklist to plan isolation and containment efforts during a situation. We learned what a given substance can potentially do to us and the public. We talked about a variety of different tools to help contain or redirect a spill, control a release by closing valves or consider evacuation of an area because of a hazardous material incident. At 1200 the cadets broke for lunch and were to be back at 1255. Around 1300 Cadets were informed to set up a simulated Hazardous Material Incident obstacle course. In an organized fashion each cadet rotated through stations of the simulated Hazardous Material incident. Before any cadet can go though the obstacle other cadets had to take their vitals so we could compare them after the obstacle. Every cadet was issued a Level A Hazardous Material Suit and a handheld radio to carry with them in the suit. The suit is a full encapsulated suit, requiring cadets to wear their SCBA (Self Contained Breathing Apparatus) underneath it. The course started with the cadets rolling a barrel that was simulated to be leaking hazardous materials into another container to isolate it. We hoisted a bucket with a variety of tools to help shut off valves from a catwalk on silos. We then came to a point where there were multiple pipes releasing a tremendous amount of water so we had to figure out what valves to shut off. Cadets began to feel the heat of the suits at this point, making the course a little complicated. We came to another cadet at the "gate" where we had to relay our SCBA PSI and our location. After relaying our status to Entry Team leader, we continued on with the course to a leaking drum. We performed a defensive operation (diking) around the drum using sand. At the last station, we used a salvage cover and weighted blocks cover a drain to prevent hazardous material from spreading into the storm drains. Before entering back into the Support Zone, we notified the Entry Team leader of our PSI level and our location once again. To end the simulated incident, we had our vitals taken once again to ensure we were healthy enough to continue with our day. We began station breakdown and took care of daily duties and ended the day with a little debriefing. Each cadet got a feel of what its like to work at a Hazardous Material Incident and learned some interesting things about HAZMAT incidents. Tuesday October 16th was a good day at Oxnard College Regional Fire Academy. The morning of the academy started with everyone arriving early to stage their assigned gear in front of the apparatus bay. Cadets that are assigned the role of company officer broke off for their meeting with Captain Crudo, while company officers were at the meeting discussing the plans for the day, the rest of the battalion set up for a morning workout. Before starting with the morning workout, the battalion was led by Cadet Rocha in a uniform stretch. The workout consisted of Cadets wearing their turnout jackets during: a tower run with a hose pack on the cadet’s shoulder, dummy drag, hose pulls/ hose runs, tire flips, kettle bell swings with wall sits, lunge walk with dips in-between, pull ups with abs, and to finish off with a tire pull. The whole circuit workout is based on the pace of the tower run squad, the rest of the circuit groups can only rotate when they are completed with their tower run. After the workout Cadets got back in formation to stretch, then followed with the battalion setting a benchmark for all cadets donning their gear and on air, Captain Crudo expected us to be done donning in two minutes, most cadets in the battalion achieved this. Shortly after this was done the battalion was told to go put away all gear into bunker row and then go right to hygiene to shower and get prepared for the classroom. After hygiene Cadets switched into their blouses with station pant and boots to be ready for the classroom. Cadets were in the classroom for the remainder of the day, learning about hazardous material and how it relates to the Fire service. Captain Crudo let us know there was a significant amount of material to cover and to be prepared to be in class all day. Multiple sections were covered, hazardous materials and classes, containers and markings, spills and releases, NFPA standards, Hazmat training levels and the roles of each, initial onscene actions, defensive/offensive approaches, incident warning signs, research references, hazmat PPE and area uses and how to properly relay incident information to dispatch via the radio. Throughout the class cadets were given group assignments to use the ERG (emergency response guidebook) the FOG (fire operations guide), and NIOSH guide. Chemicals were researched and guides followed for the situation presented at the time. It was very helpful to have constant stories from Captain Crudo’s career to help relate these items to the real world instead of just talking about the situations. Videos of related hazmat situations were shown as we studied particular cases. Captain Crudo kept with regular breaks to keep the cadet’s minds refreshed and able retain the information presented to us. It was another busy day on Academy grounds for the last day of Wildland testing. the day. New Company Officers were also announced. ground pace, like all Battalion tasks, was implemented. where they could take a well-deserved break. will take place in November. would run the SCBA Course once more, although this time it would be a competition. list of 11 other skills identified by the State. week stronger, and one week closer to our goal. wildland clothes correctly, and got a taste of how fast we needed to be able to don. company got through two drills it was time for lunch. chapters from our earlier studies with an unstructured release. The day started at 0630 for Battalion 50 as the cadets arrived to the academy grounds. We unloaded our brush PPE's and Uniforms from our personal vehicles and staged our brush gear in front of the apparatus bay. From there, we went to the locker rooms and put away our uniforms, personal gear and lunches. We immediately returned to staging to wait for further instruction from Battalion Officer Johns regarding the set up for the morning’s progressive hoselays. Battalion Officer Johns informed us we would be at the Duck Pond, practicing progressive hose lays for time. At 0730, we all went to the hose rack to prepare our brush packs which contain 2 sticks of inch and a half hose. Each stick is 100 feet length. We worked to build hose packs, set up gated wyed supply lines, organized fittings and retrieved nozzles from the bunker. Progressive Hose Lays drills began at 0800. Each team practiced the lays for time. Everyone in the Battalion was complete in approximately one hour. Teams consisted of 2 cadets paired by name alphabetically. They had to perform all steps to advance 500’ of the single jacket 1 ½” hose and complete the tasks within 8 minutes. We began station breakdown once everyone was finished. The hose was washed and brushed with a soft bristled push broom. To help with drying, we placed the sections of hose in a snaking pattern, which is turning the hose on its side to allow maximum dry time. We were dismissed to hygiene, by Battalion Officer Johns, to get cleaned up from the Duck Pond. We lined up in the breezeway in reverse seat order to get ready to go into the classroom. We walked into our classroom and waited at attention behind our chairs for further instruction from Captain Twitchell and Engineer Tarkany. At 1000 hours we began studying Wildland Fire Fighter Training S-130. We learned about the different components of the fire and wildland firefighter terms. Captain Twitchell went over fire fighter preparedness including the weight limits of wildland packs and personal gear, and mandatory items such as PPE's, hard hat, and eye protection. He reviewed diet and exercise for fire fighters, and taught the effects of fatigue and dehydration. Next he taught about the Incident Command System and how it’s used in wildland firefighting. Engineer Tarkany discussed resource types for crews and equipment and their specific responsibilities on a fire incident. Hand crews, engine crews, and helitack crews were all researched. She went over the risk management process, fire orders and watch out situations, called the 10s and 18s. We used our IRPG to reference topics she was discussing. After a one hour lunch, we met back in the classroom and continued our lessons on Wildland Fire Fighter Training S-130. Captain Twitchell and Engineer Tarkany team taught us about LCES, fire shelters, equipment use and inspections, suppression techniques, potential hazards and the human factors that play a role on the fire line, . We studied the 30 Mile Fire, where firefighter deaths could have been prevented had proper LCES and communication in place. Captain Crudo administered the S-130 exam at approximately 1600 hours. An unstructured release followed, meaning as cadets finished the exam and after colors were lowered, cadets were free to informally dismiss. On October 3, 2018, OCRFA Battalion 50 began our day arriving on academy grounds at 0630 hours. Cadets arrived in their PT gear and began staging their wildland gear south of the apparatus bay. This was the first of two weeks focused primarily on wildland firefighting. By 0700 hours, PT began with an eight station workout. With this being our seventh week into the academy, all of the cadets are in top physical condition. After PT, cadets prepared for the rest of the day by setting up the academy grounds for the (four rotation) drills of the day. The four rotations consisted of learning about the wildland tools used and how to maintain them, along with two rotations of progressive hose lays and fire shelter introduction. Each rotation lasted approximately 1 hour and 30 minutes in length. I’m currently assigned to “Charlie" company and we started our rotation with Captain Gabriel learning about fire shelters. During this rotation, cadets learned how to deploy and use their fire shelters during a wildland fire incident. The cadets were challenged with getting into their fire shelters while being timed. This was a very valuable station for the cadets. Our next rotation was learning about the basic tools used during a wildland fire. We learned about the pulaski, shovel (combination tool) and the McLeod. Along with learning how the tools were used we were taught how to properly maintain and sharpen the tools. After the orientation of the tools, we were given the opportunity to put our knowledge to the test. Each cadet picked a different tool and we learned how to properly cut a fire line. This rotation brought us to lunch time at 1200 hours. The third station began at 1300 hours in the duck pond with Captain Herrick. During this rotation we walked through each step of the progressive hose lay (by the numbers). We were instructed on how to properly roll a hose pack, use a nozzle (straight stream to fog), how to properly clamp a hose, and how to anchor in before advancing on the fire. This was a very informative station and I personally learned a lot of new skills. The fourth station was again doing progressive hose lays, but this time each cadet was challenged with performing a progressive hose lay with a partner. This was a great learning experience having to work with a teammate to complete the task. This station really showed the importance of communication and team work. The instructors also challenged the cadets by timing the hose lay from start to finish. This added some pressure but quickly turned into a friendly competition within each company on who could complete the hose lay the fastest. The end of the rotations finished at approximately 1700 hours and station breakdown began. Cadets from each company were assigned to different tasks to help clean up. By 1730 hours the battalion was dismissed for the day. This was another successful and challenging day at the Oxnard fire academy. It’s a cold Thursday morning and everyone is anxious for the last day of testing on laying Hose and throwing Ladders. As everyone starts to filter into the parking lot, we unload our gear, double check our equipment and make our way onto academy grounds. It’s 0630 as we make our way down our path, making a 90 degree at every turn, and in the back of our minds all we can think about is the busy day ahead. As some cadets break off from the group to head to bunker row and retrieve their gear, the rest head to the day room to leave their lunch and drop off their gear in the locker room. Before we head out, we ensure we have plenty of water and ice and make our way to room 104 to drop off our keys in the key storage cabinet. After the classroom, we make our way to bunker row to retrieve our Personal Protective Equipment and carry it to our staging area in front of the apparatus bay. As we arrive at staging we find our landmark and start setting up our gear by company and seat number. Alpha and Bravo are on the right and Charlie and Delta Dawgs are on the left. Our gear is setup in a meticulous order starting with our bunker pants/boots on our left, our brush jacket, brush pants and turnout coat to the side and the helmet (name facing forward) on top. On the right side, our Self-Contained Breathing Apparatus is setup with straps neatly tucked away, followed by our water containers in the front (names facing forward). We do our morning check of our PPE, which consists of examining our PPE for any signs of wear or tear and ensure our SCBA ensemble is functioning properly. As we quickly try to deactivate the Personal Alert Safety System on our SCBA from going off, we hear “COLORS!” off in the distance. That’s our cue to drop whatever we’re doing and stand at attention facing the flags as a sign of respect. It’s roughly 0700 and the Company Officers line up to head to Room 118 for a morning briefing with Captain Crudo. It’s around 0730 and the Company Officers are returning from their morning briefing and we split up into our Companies to listen to our morning assignments. Before we go anywhere, we quickly don our turnout pants and brush jacket, along with our helmet and we grab our water containers before we head to do our assignment. Our Company Officer Cadet Alexander leads the way as we head to Bleve with Charlie Company to help setup the stations for the day. Our first assignment consisted of establishing a 4 inch supply line from the fire hydrant on Durely Ave. to Engine 40 parked on Bleve Ave. This was accomplished by paying out enough hose to reach the engine, and at the same time we ensured the hose beds were dressed appropriately. Our second task was to ensure each cross lay was set up correctly to perform Extending a Burst line and Securing a Hose to a Ground Ladder. Its 0900 and Delta Company started the day off at Bleve, the skill being tested was Operating a Charged Attack Hose Line from a Ground Ladder being led by Retired LAFD Captain Jacalone. The essential steps to this skill are advancing an uncharged hoseline, positioning oneself correctly to climb the 24’ extension ladder and locking in with the correct foot to start working off the ladder. Many cadets had trouble with this skill the day prior and today was the last day to re-test. The correct approach to securing the uncharged hose to the ladder was achieved by tying a larks foot, a round turn and two half hitches and finished off by securing the remainder of the webbing to the rail. It’s 0945 and all of Delta is down the road testing on Replacing a Burst Section of Hose by led by LAFD Captain Miranda. This skill simulates what would happen if a section of hose burst during operations. The key steps to this drill included placing a hose clamp at least 5 feet away from the coupling of the damaged hose, bleeding the line, and removing the damaged section. The next step is to replace the section with a 100 foot section of hose and dress the kinks before releasing the clamp and advancing the line. By around 1030, most of Delta Company has finished with testing for the first part of the day so Company Officer Alexander splits up the Company and sends us to different drills. Our main goal is to load hose while other Cadets wait to be tested, this way the rotations will go by quicker. We use this time to move our gear staged in front of the apparatus bay to the inside of the apparatus bay to clear the area outside for testing purposes. While spots are waiting to be filled for the next Cadets testing outside, some Cadets from Delta stay inside the app bay to get some extra practice tying knots. By 1150 we are called back to staging, doff our gear and are released for Lunch. Lunch took place from 1200 – 1245, allowing our Company enough time to return and be ready for our next drill rotation at 1300. It’s 1300 and Delta Company is lined up in front of the app bay waiting to be testing on our next skill. The skill taking place in front of the app bay is also taking place in front of the duck pond area and our Company is split in half to make progress. At this station our Company is assigned to perform a Forward Hoselay led by LAFD Captain Jackson. This skill requires two Cadets to perform the skill although only one is being graded. The Cadet being tested is playing the role of the Hydrant Firefighter, while the Cadet helping is playing the role of the Engineer. The first step Forward Hoselay requires the Cadet to acquire a hydrant wrench before advancing a supply line from the apparatus to the fire hydrant. The Cadet secures the line around the hydrant, orders the Engine to “TAKE OFF”, waits until they hear the airbrakes, dresses the hose, opens the outlet, flushes the hydrant and checks for a gasket before connecting the supply line to the proper discharge. The hydrant member acknowledges the call for water and slowly opens up the hydrant, removes the kinks as they work their way to the Engineer and acknowledges the call to shut down the water. The Engineer in this skill is responsible for breaking the coupling in the work area, discarding one section of hose and shouldering the other to the engineer’s panel and connecting. Once this task is complete the Engineer calls for water/ and calls for shut down. At around 1400 everyone from Delta was done with the Forward Hoselay and was starting to head back to staging to start assembling for our last final of the day, Ladders. At 1500 the first two Cadets from Delta Company were on their way to Ladderland and staged in the pull-up bar area, while the last Cadets from the previous group finished their testing. The rest of Delta Company helped finish loading hose while the other Companies did their share in cleaning up. For testing purposes, only two cadets were testing at a time and each cadet rotated from the 14’ to the 24’ ladder. The testing sequence included a 1 person 14’ ladder flat/beam raise, 1 person 24’ ladder beam raise, and 2 person 24’ ladder flat/beam raise. The 2 person throws occurred 4 times total, with each Cadet rotating from tip to base position for both flat and beam raise. As the last few members of Delta and the other members from Alpha, Bravo, and Charlie finished testing, the rest of the Battalion was busy cleaning up and breaking down stations. Some Cadets were busy wiping down the Engines, others were cleaning the app bay, and a few members took the opportunity to thoroughly wash Captain Crudo’s truck. At approximately 1700, the Battalion Officer gathered everyone together for a brief moment to evaluate how the day went and Captain Crudo took the opportunity to congratulate us on our work and to briefly mention her plans for the following week. One month long of ladders was finally over but the hard work wasn’t over just yet, Wildland was coming Monday. The day started at 0630 for Battalion 50 as cadets arrived on academy grounds to stage gear in front of the apparatus bay. At 0645, two cadets yelled “colors” and everyone stopped silently to stand at attention as the United States and California flags were being raised. We were all patiently waiting at staging for our officers to come back from their meeting and brief us on what we had to set up for the day. This day was going to be different because we were being tested on the hose lays that we had been practicing all month. These included: extending an attack line, replacing a burst hose line, setting up a ground monitor, setting up and tying down a hose line to a ladder, and finally throwing ladders. To prepare, we began setting up various stations, with one group (or company) assigned to a station. The company I’m a part of, Charlie, set up the portable monitor station. At 0740 we came together as one battalion at staging to don our PPE/SCBA. We attempted to do this as quickly as possible, per usual, with a primary goal of under two minutes. When we were done, Captain Crudo quickly briefed us on what would be happening and how things needed to be done. We were then ready to hit our first stations.Charlie company was split into squads (5 and 6) at two different test stations—one consisting of extending an attack line with Engineer Rivera, from Los Angeles City Fire Department, and the other of replacing a burst hose line with Firefighter Balandran, also from Los Angeles City Fire Department. The objective of the first station was to complete a series of tasks that are performed as follows: pull 100 feet of hose from the engine, use a hose clamp to stop the flow of water, then add an additional 50 feet to extend the line. The objective of the second station was to perform the appropriate actions in response to a simulated hose burst, which meant replacing it with an additional 100 feet of hose and using a hose clamp to stop the flow of water. 1030 came around quickly and Charlie Company had just finished our first two stations. We ran up to Bleve Ave for our next two stations. Portable ground monitor was run by Captain Jackson from Los Angeles City Fire Department and operating a charged hose line from a ladder was proctored by Captain Jacalone, retired Los Angeles City Fire Department. At portable monitor, three people participated. The firefighter pulled 4 inch supply line, the captain retrieved the monitor, spanners, striking tool and a double male fitting, and the engineer set up for water. At the hose and ladder station with Captain Jacalone we deployed 150 ft. of hose, set two coupling at the base of the ladder, climbed up the ladder with the nozzle draped behind our back, locked into the ladder at an appropriate height, tied the correct knot to secure the hose, called for water and operated the charged line from the ladder. We were at this station until approximately 1200. We all met at staging at 1205 and were released to lunch by our battalion officer Johns. We were given instruction to meet back in the breezeway at 1250 and be ready to go to our next station at 1300. Charlie Company’s next station was restoring and repurposing a Ford F250 back to life, led by retired Ventura County Fire Department Captain Kromka. We sanded the truck, re-stained the wood rack, and painted anything that needed it. The truck will be converted to a Type VI pumper for future battalions to use. This was a great experience. We all had a great time bringing the truck back to life. Charlie’s last station started at 1440. It was time to throw ladders at the infamous Ladder Land ran by Engineer Barnes and Firefighter Thompson, both from Oxnard Fire Department. While there, we had to practice our single 14 ft., single 24 ft. and two-person 24 ft. throws. We also needed to ensure we had all of our ladder commands and techniques dialed in for tomorrow’s ladder test. This went on for more than hour until we stopped at 1600. At 1600 it was time for the TOC (the Tournament of Champions). The Tournament of Champions is an academy known event, consisting of eight teams with two teams representing each company. The objective of the TOC is to see who can put up their ladder the most efficiently, within the least amount of time, without violating safety guidelines. Everyone in the tournament worked furiously, but in the end there could only be one winner. This semester, the victors of the TOC were Cadet Canales and Cadet Fricke from the Delta Company. 1700 came around and we all quickly cleaned up and broke down the drills and stations. We wiped down all the engines and waited at staging to be released. Two cadets broke away from the battalion to do colors. Finally, we had a quick summary of how the day went and were dismissed by battalion officer Johns, calling it a day. On Tuesday, around 0415 on 101 Freeway in Camarillo, a semi-truck overturned resulting in freeway closure. This affected the arrival time of some of the cadets driving in from the east. Cadets arriving at 0630 grabbed their PPE’s and set them at staging in proper formation. WOD (workout of the day) began at 0700. Soon after finishing we met back at staging and donned our structure coat/pant and PPE’s for time. We were reminded to don our clothes for time whenever possible to prepare testing in November. “3….2...1..GO”, our battalion leader said. Each cadet frantically taking their athletic shoes off and remembering the proper sequence of which article of clothing to put on next, hood, pants, coat… buttons…. middle button. Soon after our quick drill, we doffed our gear and were briefed by our company officers of our drill set up assignments. Today, Bravo Company has Rehab (water refill), cones, App bay floors. Charlie was responsible for supply hose on all engines and to bed all the crosslays. Delta was to set up the ladders in Ladderland and Alpha had Area 4 supply/crosslay lines. We were briefed on the day's drills, then sent to hygiene and to grab a quick snack. Today would be the last review day before our finals in several drills including Extend/Replace Burst Lines and Hydrant Forward Hose lay along with Ladder Placements, which we would be tested on Thursday, and Buildling Construction for our live burning training. At 0900 Bravo Company was up first in the Extend and Replace Burst Lines. In replacing a line the cadet was to pull 100 feet of pre-connect hose, ensure 50 feet was flaked at the objective, call for water, bleed the air through nozzle and advance the line. The second stick of hose or 50 foot hose would then “burst” the cadet is to run back to the engine grab a hose clamp and pull an additional 100 feet of hose to the nozzle. An extra stick of hose is pulled to avoid running in the middle of making the repair. The cadet clamps off the hose, replaces the burst line, releases the clamp, charges and advances the line. The Extending Lines drill was similar, instead of pulling 100 feet of hose you shoulder loaded 50 feet, clamped at the nozzle, removed it to add the additional hose, the recouple the nozzle and advance the line. At 1040 Bravo Company moved to a Forward Lay. We reviewed the hydrant member's task of laying a line. This consisted of retrieving a hydrant wrench and a 3 inch supply line, pulling the hose and wrapping around a hydrant then securing the hose by stepping on it and telling the engineer to “Take off!”. Once two couplings hit the ground or the air brakes are heard the hose was attached to the hydrant. The hydrant was flushed to remove any possible debris in the inlet, then the hose was attached, coupling tightened and hose was dressed as the cadet waited for the call for “Water!” before opening the hydrant. Lunch was at noon. At 1245, Bravo met in the breezeway, quickly moved to staging to don our structure clothing and SCBA and headed to Ladderland early to be prepared to throw ladders. Although each cadet was full of lunch we were able to confidently throw our ladders with precision and excellence. At 1440, we moved to the apparatus bay to continue the construction the out buildings we will be burning during our live fire drills at a later date. At 1600 we began station breakdown, then met in the academy classroom 104 for a 1640 briefing. We were released at 1700 to go home and rest up for our first skills final. Battalion 50’s day started at 0630 with everyone arriving and staging our gear accordingly. We made a change today to our normal PT by adjusting the time to 30 minutes so that we can start a daily donning of our ppe (personal protective equipment) for time, we will be tested in November and the goal is to have everyone completely dressed and on air in under 2 minutes. After the morning workout and donning of ppe for time we began setting up the stations for the day which were Ladderland, Rehab stations, Bleve, Hose line extension/replacing burst line and SCBA/right handed search. At 0900 Alpha Company started their day at the Bleve station which consisted of two sections, first Squad one was on the portable monitor. This drill takes 4 people to operate, the captain grabs the portable monitor and runs it 100’ away to the objective, firefighter 1 pulls 100’ of 4” hose out to the portable monitor and connects it, firefighter 2 pulls out a 50’ section of 2 ½” hose, disconnects it and takes it to the engineer where he hands off the male coupling and takes the female end to the gated wye to connect. The engineer connects the 2 ½” hose and runs around the engine to disconnect the 4” and reconnect it to the engine’s pump. The firefighter and captain then call for water and manipulate the portable monitor up, down, left and right. The other drill consisted of a captain and firefighter pulling and placing 150’ of hose to the base of a ladder, then the firefighter would advance the nozzle up the ladder, rest it on a rung and lock into the ladder by wrapping their leg through the rungs and around the beam. Then they tied the hose down to ladder and called for water and opened the bale to flow water 20’ in the air onto their objective. At 1040 we moved on to extending hose and replacing a burst hose lines. Again, we split into two groups and ran drills simultaneously. A member from Squad 1 would grab the nozzle and loop of hose from bed 1, advance it 50’, run back to grab a hose clamp, shoulder load an additional 50’ of hose, set the hose clamp 5’ away from the nozzle, bleed the hose, disconnect the nozzle, extend the hose with that 50 foot section of hose, attach the nozzle to that before removing the clamp and advancing the remaining hose. A member from Squad 2 would grab the nozzle and loop from bed 3, run it out, but would then run back to grab a clamp and pull another 100 feet of hose to connect to their existing hose lay before advancing. At 1200 we were dismissed for lunch and returned at 1300 to start station 3, SCBA and right-handed searches. We started this station by cutting pieces of dry wall to use for breakouts and then donning and doffing our ppe and SCBA multiple times. Four members of our company placed our SCBA on the engine and simulated arriving on scene to an incident and donning while walking towards our objective where we then went on air. Next, we split into teams of 2 where we crawled through a dark obstacle course while on air doing a right handed search of our conex-box. The course had multiple points where we had to breach walls (break through the drywall sections we just cut) and remove SCBAs to fit through holes. Multiple walls were breach, with pieces of broken dry wall around us. We climbed through walls and maneuvered up and around a set of stairs while communicating with each other in the dark. Our final station was Ladderland, at 1440. Today was the first day we threw ladders while wearing SCBAs which will now be the new standard. We were split into a group of six that worked on throwing one person 24’ ladders in various windows, roof lines. Techniques such as a rescue throw, entry throw, roofline throws and horizontal ventilation throws were practiced. The remaining group of 4 practiced throwing 14’ ladders and 2 person 24’ ladders to full extension using both flat raises and beam raises. The day started at 0630 for Battalion 50 as the cadets arrived on academy grounds in preparation for the official start of the day. Unlike most other mornings we were ordered to wait until after PT (physical training) to stage our PPE (personal protective equipment). At 0645 the colors were raised with the American Flag followed by the California State flag. At 0645 we had our company officer briefing with each of the company officers as well as our battalion officer and Academy Coordinator Captain Crudo. Our officer briefings inform the cadets of what will need to be set up for the day’s drills as well as the order in which each company will rotate through drills. The daily rotation is set up with four drills, two in the morning and two after lunch. At 0700 we started PT, Bravo and Delta Companies began with a mile run while Alpha and Charlie Companies began with a circuit work out consisting of four stations. In the first part, the pace is set by tower runs while carrying hose packs up five stories; the second part of the circuit was pull ups and burpees, the third 170 pound dummy drags for 50 ft. and the fourth using a sledgehammer to hit a tire. At 0740 each company split up for drill station set up. Alpha Company set up the Portable Water Extinguishers Station. Bravo Company set up the Rehab Station consisting of three 5-gallon water containers and four small ice chests with water for instructors. We also set up traffic cones to block off the training area. Charlie Company set up the ladders in Ladder Land pulling out one 14’ straight ladder and eight 24’ extension ladders. Delta Company connected Engine 40 to a hydrant and ran a supply line to Engine 41 so we would have a water supply for interior and exterior stairwell operations. At approximately 0830 we tended to personal hygiene. The cadets showered rapidly so we had time for a snack before we had to be at our first drill by 0900. Bravo Company started the day in Ladder Land with Captain Hundley from the Oxnard Fire Department where we practiced throwing the 24’ extension ladders with one person. With eight 24’ ladders and 10 Cadets it felt like we threw each ladder more times than we could count. After an hour and a half of ladders and a 10-minute rehab period, Bravo Company was on our way to the Portable Water Extinguishers Station for pallet fires training with Captain Gabriel from the Fillmore Fire Department. At this station we got to experience live fire for the first time in the academy. The cadets got to use both a straight stream and the spray method of putting water on the fire using portable water extinguishers. After we each had a chance to extinguish a pallet fire, Captain Gabriel showed us how to properly refill the extinguishers with water and recharge them with compressed air. Once we finished, we were dismissed to lunch by our Battalion Officer. Around 1245 Bravo Company began to head back to our staging area to don our PPE and get ready for out next station which was interior stairwell operations at 1300 with Captain Kerns (ret.) from Los Angeles Fire Department and with Battalion Chief Santillo from Federal Fire Ventura County. At this station the cadets had to pull 1 ¾ attack line off the fire engine and place 50’ of hose outside of the building. Once we had the nozzle and 50’ of hose deployed we called for water and masked up (put our breathing apparatus on). Once all members were in PPE and breathing on air we made our entry into the building. The company member on the nozzle made their way up the stairs while the cadet playing the captain role followed them up. The second firefighter helped feed hose into the building so the nozzle member and captain could advance. Once on the second story, the nozzle member sprayed water out of a window while a captain dropped a drop-bag out of a different window calling for a tool. The cadet playing the engineer role tied a tool off to the rope and the captain hoisted it up completing the evolution for that station. Our final station of the day was at the 1440 Exterior Stairwell Ops with Battalion Chief McNaughten from Oxnard Fire Department and Captain Jackson (ret.) from Los Angeles Fire Department. This station was very similar to the last except the stairwell was outside of the building. In this station, the nozzle member loaded 50’ of hose on to their shoulder and made their way up the stairs where they were met by a cadet playing a captain’s role. The nozzle member and captain laid out the hose so when they called for water it would fill nicely and be easy to advance. After we called for water we masked up, checked each other’s PPE and felt the door for heat. Captain Jackson told us, “If you feel heat towards the top of the door, open it carefully and spray up at the ceiling upon entry and stay low.” We did as he said, spraying the ceiling and making our way through the prop eventually spraying the hose out the window trying to knock a wood block off a pole in the distance. Again, like the station before, a cadet lowered a drop-bag and called for a tool. Once the tool was tied off and hoisted up that was the end of the drill. At 1600 all of our drills for the day were complete so we began station break down. Each company broke down and cleaned the station they were assigned to. After the work was completed, two cadets were released to remove colors for the day. We then had a short summary of the day’s events discussing what we had learned. As the days go on, we are continuously building on what we have learned and look forward to what the next day will bring. Our day began at 6:30 am with the cadets staging their gear neatly in front of the apparatus bay. We took our turnouts from bunker row, and brought them to their designated area in company order. Once water was filled, and everybody was ready, we started PT (physical training) at 7:00. Cadet Rocha led us in our stretches to warm up, and then we began our 8 station circuit that consisted of tired drags, kettle bell swings, tractor tire flips, tower sprints, pullups, lunges, dummy drags, and hose pulls. We donned our structure jackets to increase the intensity of the workout and acclimate ourselves to the heat. At 7:45, drenched in sweat, it was time to do all the set up for the drills that day. Each company was assigned a station to set up and get ready. Charlie company set up ladders and then helped in the apparatus bay to unload lumber for the construction station. Once everything was done we went to hygiene to shower, hydrate, and get some dry clothes on to begin our drills. At 9:00 we were in our gear and starting the first drill of the day. Charlie company started our day constructing 6ft by 4ft wood structures that will be used later in the semester to simulate an incident involving a structure fire that needs to be extinguished. We worked with CS1 to cut and nail together various types of lumber, and by the end of our rotation we had 3 structures done. After our rotation we had 10 minute to rehab and move to our next station, which would be ground monitors, and hose and ladder operations. In the first half of our second rotation we learned how to set up ground monitors. In this operation, four cadets take on the roles of firefighter 1, firefighter 2, engine operator, and captain. When the drill starts the cadets get off the engine and supply the engine with a 2 ½ inch hose line from a fire hydrant. From there a 4 inch line goes from the engine towards the fire and is attached to the ground monitor, which is a piece of equipment that shoots large amounts of water on the fire from a distance. This is typically used in a “defensive” operation where firefighters would not be inside of the structure that was on fire. In the second half of our second rotation cadets learned how to take a 1 ½ inch line of the cross lay hose off the engine, advance it towards the fire, climb a ladder with it, and lock in to a position where they could then tie the hose to the ladder and attack the fire from a higher vantage point. This operation also used four firefighters working together to get the hose to the ladders. After this rotation we debriefed with our instructors and headed back to staging to rehab before Cadet Johns (our battalion officer) dismissed us for lunch. Lunch started at 12:00 and lasted for 50 minutes. At 12:50 Charlie company gathered and went back to staging to get ready for our ladder rotation. Once at staging, Charlie Company donned full turnout gear and ran to Ladder Land, which is the part of the campus where we practice all of our ladder drills. Once we arrived at ladder land, firefighter Todd and firefighter Dvorin had us rotate throwing single person 24 ft extension ladders for 40 minutes, and then 2 person 24 ft ladders at the end of our rotation. With all of the repetitions we had throughout the week, Charlie company had come a long way and improved greatly since we first started. From ladder land we went back to staging to rehab and hydrate without our gear on for ten minutes before heading to our final rotation of the day, replacing a burst hose line. In this rotation Captain Kearns taught cadets how to replace a burst hose in the middle of a hose lay. A cadet would start at the engine and advance 100 ft of dry hose towards the fire and then call for water. At this point the cadet put the nozzle at the end of the hose on the ground, and ran back to the engine where they took another 100 ft of hose and stretch it out next to the first hose on the floor. They would then get the hose clamp out of the engine, clamp the hose behind the one that burst 5 feet behind the coupling and replace the burst hose with the new one, making sure the nozzle was off first. Once every cadet got to run through the rotation, we all met back at rehab to hydrate and then went on to carryout our duties to break down the drills for the day. We ended with wiping down the engines and making sure everything was back in the apparatus bay and bunker row. The day starts for cadets at 0630 with arrival and prepping for the day. We get our PPE gear staged and our lockers and lunches set. Today we had to turn in our work books for homework to our battalion leaders before 0700. At 0700 we start our PT for the day and today they added an extra element of having to wear our structure jackets to get used to working in the extra heat. We have our 10 station rotation of events where each squad is working until the squad on the tower completes their run and we rotate to the next station. After PT, the company officers direct their crews to the appropriate station for set up of the day. After set up, we move to hygiene where we can shower off, change, grab a snack and gather ourselves for the day. The teaching starts at 0900. Today we had a four station rotation and through the eyes of alpha company it went like this. First station was work place set up with portable power and power saw training. We worked with CS1 and went over the proper technique for cutting wood. We learned to measure, mark with a crow’s foot on each side, chalk the line and then cut along that line using a skill saw. The saws had to be set properly and measured with the blade just 1/8 of an inch below the wood we were cutting. Proper safety and techniques were followed while working both skill and miter saws. The purpose of this training was to learn to build the wooden outhouses we will be burning later. We started cutting OSB and 2x4s to frame and sheet the houses. These houses will be the exterior live fire props that will be ignited and extinguished during fire attack hose operations. The 2nd station on our list was ladders, located at Ladder Land, where we learned to raise and place a 24ft extension ladder, then climb up it and into a window or onto a roof. We learned to stabilize the ladder while someone is climbing it. The proper technique for climbing, opposite hand and foot movements together with the two never on the same rung while climbing, was consistently enforced. We also learned how to lock ourselves into the ladder with our leg so we could use our hands to safely work with tools on either side of the ladder. Once we got the hang of that we learned how to climb up and down the ladder with a rubbish hook and chain saw. From there we moved on to our 50 minute lunch. After lunch we went to the third station where we learned to pull a 100 foot attack line and then add an extra 50 ft to it while it was charged and then advance the line forward again. This drill had us running out with 100 ft of hose, charging the line and moving forward, then having to run back grab 50ft more of hose and a hose clamp. We had to stop the supply of water and remove the nozzle to add the extra house quickly and then remove the clamp and advance the longer line forward. The final station of the day was split into two parts. One was set up for us to work as an engine crew and set up a monitor for a defensive attack. A ground monitor is a master stream device set up to provide larger volumes of water. A fire fighter controls the distance of the stream by adjusting the angle and height of the nozzle. We had to deploy the monitor and a 4 in hose line along with an additional line to a hydrant. The 2nd half of this station consisted of fire fighters running out attack lines, climbing up a 24ft ladder, locking in with our leg, tying off the hose, calling for water to charge the hose line and spraying water to a fire below. At 1600, we break down the station we are at and cleaned everything up to be ready for the next day. After everything was put away and apparatus was wiped down, we lined up as Captain Crudo debriefed us, then we dismissed for the day. We started off our day staging our gear bright and early at 0630 hours. Boots, trousers, coats and SCBA’s lined up and looking prestige as we awaited for PT (physical training) to begin. Our PT that day consisted of a circuit and mile run. Once we finished we split into our companies and began setting up the four stations for the day. The stations were forward hose lay, reverse hose lay, tools aloft, and ladders. After quickly preparing the stations we went to hygiene and grabbed a quick snack to keep us going throughout the first part of our day. At 0900 hours we began our first two rotations. Since it was our second day doing forward and reverse hose lays we became much quicker and got through more repetitions than the day before. We really started to understand the different jobs of each member on the engine and how to properly execute our mission of getting water to the fire. Upon completing our first two rotations it was time for lunch. All companies reported back to staging and awaited to be dismissed. Our lunch began at 1200 hours and at 1300 hours we were back to our stations eager to learn what our new station had in store for us. Tools aloft consisted on tying a variety of different knots onto tools and hoisting them up a building. The four main knots we used to hoist the tools were a clove hitch, half hitch, inline bowline, and a figure eight on a bight. We were taught how and where to tie these knots on chainsaws, rubbish hooks, pike poles, axes, ladders, charged hose lines and uncharged hose lines. Over at ladder land there were 24-foot extension ladders and 14-foot roof ladders waiting for our arrival. We practiced where to place the ladder when performing different functions such as roof access, ventilation, and rescue. After we got more comfortable with the placement of the ladders we had a TOC (tournament of champions) where everyone goes head to head to see who can correctly throw a ladder the quickest and most effectively. As soon as we knew it the day had come to an end when the companies were notified to clean their stations and report back to staging. Tools were put away, hose was loaded onto the beds of the engines, and PPE (personal protective equipment) was placed away in the bunkers. We completed our day with a brief over view on how the stations went and what was to come the following week. Our Battalion officer dismissed us and we were on our way to enjoy our weekend. Our day began at 0630 with cadets “staging” their gear in a uniform and orderly fashion with respects to company order. After making sure all of our gear was in order with our helmets, turnout jackets, bunker pants/ boots and self contained breathing apparatus were in line; our company officers set off to attend an officer briefing at 0650 to be assigned our duties and rotation times/ locations for the day. The meeting was set in Captain Crudo’s office where she would delegate responsibility to each company for setting up our rotations, determining times of moving to the next station, the location of the stations and radio distribution. At 0700 we started our workout of the day. The workout was a specified circuit run by Cadet Rocha. The circuit consisted of hose pack tower runs (10 flights of stairs), 50 feet dummy drags that weigh 170 pounds, 50 feet tire drags, pull ups, lunges, tractor tire flips, 35 pound kettle bell swings, and hose drag sprints/ pulls for 75 feet. This day we had a change up; we would be wearing our turn out jackets during physical training, which made working out a little more difficult. At 0745, with a wet and salty shirt Battalion 50 made our way to set up stations for the day. Alpha Company was tasked with make sure all of the engines that would be used had 150 feet of 1 ¾ inch hose in the cross lay (pre-connected portion) of the engine, Bravo Company was assigned to set up the chainsaw workshop in the apparatus bay. Bravo needed to put out 4 chainsaws, screnches (chainsaw tool) and sharpening jigs. Charlie Company had to set up “rehab” which consists of 5 gallon Gatorade containers filled with water distributed to each station and cone set up to block off the stations. Finally, Delta Company was tasked with setting up (2) 14-foot aluminum solid beam roof ladders and (5) 24-foot aluminum solid beam extension ladder to ladderland (battalion 50’s favorite station). Hygiene would be from 0830 to 0850 and we would be at our stations ready to work at 0855. The first station was Forward Hose Lays, lead by Captain Kearns and Captain Peters of The Los Angeles City Fire Department. Building off what we learned on Monday, cadets would pull a 4-inch supply line with a 4-way valve at the female end and wrap a dry hydrant and yell for the engineer to “TAKE OFF”. After the apparatus got to the objective, the Engineer would disconnect the supply line from the hydrant and couple the line to the suction inlet on the apparatus. After the supply line is connected, Fire fighter 1 and the Captain would begin pulling “folds” off the hose bed of 2 ½ inch hose to the desired length. FF1 and the Captain would then advance the desired length of hose to the fire and would call for “WATER”. With the Engineer acknowledging the call for water and respond with “WATER COMING” would uncouple the 2 ½ in attack line at couple it to the discharge. At this point the evolution would be finished and cadets would break down and prepare for the next group. The next station was the Reverse Hose Lay. Engineer Ketaily and Captain Jacalone of Los Angeles Fire Department ran this station. This operation is very similar to Forward hose lays. First, Fire fighter 1 and Firefighter 2 would start pulling an attack line to the objective at a desired length. Once the length is achieved Fire fighter 1 will stand at the nozzle and call “WATER” mean while Fire fighter 2 will disconnect the attack line and place it next to the a Wye that the engineer put on the ground to connect the lines. While this is going on, the Captain would remove a 14-foot roof ladder and axe and place it on the ground off to the side to be used. After the Captain grounds the ladder and axe, he/ she would return to the opposite hose bed and remove the 4-inch line, walks 5 steps from the apparatus, steps on the line and tells the engineer to “TAKE OFF”. After the apparatus reaches the hydrant, the engineer connects the a line to the suction and opens the discharge after the FF2 connects the attack line to the discharge. The next station is Ladderland. Today we worked with Captain Hundley of Oxnard Fire Department. Captain Hundley gave us a basic intro in two people throwing of a 24-foot Aluminum solid beam extension ladder. The station consisted of loudness, hard work, sweat and Captain Hundley working with us on our technique. The final station was an intro chain saw workshop led by Firefighter Mac of the United Forest Service flight crew in Santa Barbara. The start of the workshop consisted of Firefighter Mac teaching us how to properly maintain a chainsaw, from removing the bar/ chain, clutch assembly, properly tension a chain and sharpen a chain. From there we went out side to learn how to properly start the saws, identify how the saw should sound when its running properly and engage the chain brake. As we get more hands on experience with the tools and procedures explained above, we have find that muscle memory is starting to kick in and we are working really well as a team. Battalion 50’s day began at 0630 where we focused on preparing for the long day to come. Cadets made trips in and out of the locker room and bunker row (where our gear is stored), collecting our PPE (personal protective equipment), lunches, and extra clothing in anticipation of getting wet. At 0645 Cadets assigned to colors (the raising of the American Flag followed by the California flag), yelled “colors” to notify all others. All cadets stop what they are doing, stand at attention facing the Flags, and give their undivided attention. The raising of the flag on the 17th anniversary of the World Trade Center attack seemed to bring unity and strength within our battalion as we stood in silence. At 0645, immediately following colors, the company officer meeting began in Captain Crudo’s office where we talked about further preparation and details of the day. 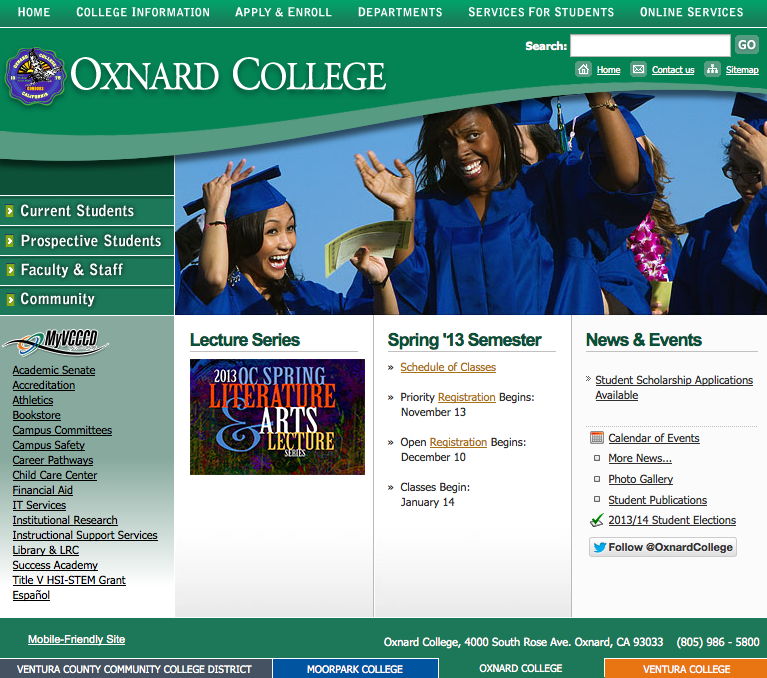 Crews were assigned a task to complete prior to departure to the Oxnard College main campus. Cadets ensured that all four engines being utilized were loaded with two structure packs, two hose beds with 200 feet of pre-connected hose and a large variety of nozzles. Three rehab containers were filled and loaded into Cadet Rocha’s truck. Soon after, all cadets were truly ready to begin their day, with their PPE and necessities loaded into their driver’s vehicle. At 0805 we departed to Oxnard College, four engines followed by all cadet vehicles heavily loaded with the personal gear we would be utilizing for the day. Upon arrival at the main campus, cadets set a staging location to stow PPE and belongings, while ensuring uniformity. Cadets then began to set up each engine in preparation for our four station drill rotation, each station covering different aspects of attack hose. Station 1 consisted of the operation of four different types of nozzles: the smooth bore nozzle which delivers a solid stream and is used on large structure fires that require high water penetration, the cellar nozzle which is used when attacking a fire in a basement or cellar and is able to be dropped down into the fire room and operate while unmanned by a firefighter, a standard adjustable fog nozzle that may provide a straight stream for penetration or a fog pattern for protection, and the bayonet/piercing nozzle that is designed to be penetrated into a material that is on fire and deliver water. Station 2 taught how to extend a charged hose line, how to replace a downed or burst hose line and how to advance an attack hose line to an objective. Station 3 consisted of learning proper techniques on how to advance dry hose, call for water from the engineer and continue to advance that charged hose line. Station 4 introduced the assembly and deployment of a trunk line and structure bundle that consists of 100 feet of hose, a nozzle, and in some cases a gated wye (used to branch a single hose into two hoses). Station rotations were broken down into AM and PM rotations. The AM rotation consisted of two stations beginning at 0900 and ending at 1140, leading into lunch. At 1200 all cadets aligned around the flagpole, joined by students and staff of Oxnard College where we were all captivated by Oxnard College President, Cynthia Azari and Fire Academy Coordinator, Tami Crudo as they gave heartfelt speeches about 9/11. A moment of silence followed. We continued lunch until 1230 and resumed our rotations until 1530 when we began station clean up, so we could depart from the main campus at 1600. When we returned to the academy grounds, we immediately filled the drying rack with used hose and snaked out remaining hose to dry to prevent mold and mildew accumulation. We then cleaned all apparatus that we used for the day and took inventory of the equipment we used. All cadets put full effort into cleaning because of the pride we take in our equipment. Captain Crudo then debriefed the Battalion, and our battalion officer dismissed us for the day. The day began with cadets arriving at 0630. As with every day, the first order of business was raising the flags. Cadets began retrieving their PPE’s from bunker row and staging them neatly in front of the apparatus bay. After staging equipment, at 0650 Company officers reported to Captain Crudo’s office for the morning briefing. The daily plan was discussed, and companies were assigned to their designated stations for set up. Typically following the morning briefing, the Battalion’s workout of the day takes place. However, since today was the first day of a rigorously times 4 station drill, cadets reported to the classroom for a quiz on ladder commands, and hose lays we were to learn about over the weekend. As cadets finished their quizzes, they were to fall out of the classroom and begin the set up for the station their company was assigned to. Alpha company was assigned to setting up the rehab stations and coning off the areas to be used for the day. Bravo was given the task to clear all the weeds and debris in the area surrounding the academy’s knot rack. Charlie company was delegated with the task to grab ten 14’ ladders, and four 24’ extension ladders and stage them at “Ladder Land”- which is a lot more fun than it sounds. Lastly, Delta was given the job to ensure that all engines had 200ft of 1 ¾” hose flat loaded, laid in layers, in the Cross lays (the area at the mid-way point of the engine that has hose running perpendicular to the hose in the back of the engine). Any company that finished before our 0845-briefing time, assisted the other companies that needed more hands-on deck. At 0845, Captain Crudo addressed the Battalion, briefing us on how the remainder of the day will be organized, and introducing us to the instructors for the day. Equivalent to the “Ready, Set, Go” of a race, once the briefing was over, cadets hustled to their designated stations. The first station of the day was for cadets to learn the process of a Forward Hose Lay. Steps involved in this process were to pull 3-inch hose off the engine, wrapping around a hydrant, and securing it. Once secure, cadets would yell the command “TAKE OFF!” giving the cue to the engineer (driver) to proceed forward. As the engine moved forward, toward where the destination would be, more hose unraveled. For this drill, once the first coupling dropped out of the bed of the engine, the engine would stop. The Cadet at the hydrant would then begin attaching the hose to the hydrant. While the cadet acting as engineer would then pull more of the hose from the bed until another coupling hit the ground. At this point the cadet acting as engineer would disconnect the coupling from the hose and attach the male end of it to the suction (intake) inlet on the engine and yell “WATER” to which the cadet at the hydrant would respond “WATER COMING” and begin flowing water to the engine. At 1025 the first rotation ended, all cadets were to take a 10-minute rehab break to rehydrate and cool down and be at their next station at 1040. 1040 was the start of the second station which was essentially the same process as the first, the one change here was that instead of the engine pulling forward to unload the hose, cadets had to pull the entire length of hose needed off the engine. The drill came to an end at 1200 and cadets returned to the staging area and headed off to lunch. Lunch came to an end at 1250 and cadets were at their next station at 1300. The third rotation of the day was ladders, this is where cadets were given the opportunity to get their hands on a 14’ roof ladder. The instructors walked the cadets through the motions of two different types of raises; a beam raise, and a flat raise. Stressing the importance of proper technique, proper announcement, and the difference between a preparatory command and an execution command. After a few walk-throughs, and a couple corrections for proper form, orchestrated chaos ensued with 10 cadets moving in deliberate and loudly announced moves. “Beam – Ladder. Shoulder – Ladder. Forward – Ladder. CLEAR ABOVE. Beam-Raise – Ladder. Lean – Ladder.” Once these announcements and movements were performed, cadets checked their climbing angle, ensuring it was at approximately 75 degrees, and checked that there were four points of contact, then they proudly gave the last command “LADDER READY TO CLIMB!” at which point an instructor would check their work, and clear them to take down the ladder. Taking down the ladder followed the same type of preparatory commands, and execution commands, until all ladders were grounded. Before the cadets knew it, it was already 1425 and time to rotate. Next station began at 1440, which gave them 10 minutes to refill waters, and cool down, and 5 minutes to get to the final station of the day. The last station of the day was an instructional walkthrough of the differences between a forward hose lay (that was learned earlier in the day) while adding in the element of deploying an attack line as well. We were also shown a reverse hose lay which was the opposite of a forward lay. A forward lay was dropping off a supply line at a hydrant and continuing to the objective. Whereas a reverse lay will drop a firefighter off with an attack line near the objective and proceed to the hydrant.While this station was an instructional one, it was a vital piece of information for cadets’ future drills in the days to come. At 1600, all cadets were instructed to begin station break down, and clean up. This consisted of returning all ladders that were brought out, washing any hose that was used and placing it on the drying racks, and wiping down the engines used. Cadets are learning very quickly to leave things better than the way they found them; a characteristic that can be attributed to every aspect of life. The start of week 3 began at 0650 on Tuesday with a morning briefing detailing the day’s events, and also assigning September’s Company Officers. Immediately following the briefing, at 0700, the Battalion’s morning workout began. This morning’s workout (PT) consisted of an 8 station circuit; a trip up and down the 6 story OCRFA tower carrying a hose pack, dummy dragging, tire pulling, pull-ups, lunges, tire flips, kettle bell swings, and fire hose sprint and pull. Company Officers for September were announced following the 45 minute PT, Alpha Company now being led by Cadet Ferguson and supported by Cadet Rocha, and Cadet Henggeler, Bravo Company being led by Cadet Morgan supported by Cadet Hanna, and Cadet Galindo, Charlie Company being led by Cadet Brito supported by Cadet Weil and Cadet Mahoney and lastly, Delta Company being led by Cadet Alexander, supported by Cadet Gallagher, and Cadet Fricke. After announcements, the Battalion began setting up the day’s drill station. Sweeping, mopping, drying the floor of the apparatus bay, and then staging all of our PPE (Personal Protective Equipment) in a tightly organized fashion on the floor of the apparatus bay. After set up, cadets were sent to hygiene, then returned to their PPE’s for the Battalions first uniform inspection of the Academy at 0920. As cadets stood at attention with a thousand yard stare, Captain Crudo methodically inspected each cadet, checking for complete uniformity among the Battalion, ensuring gig lines were straight, pants and shirts were creased, faces were shaved, and boots were shined. After inspection, the introduction to water delivery systems began. Cadets were taught how a fire engine’s pump operated, how to fill an engine’s water tank from a hydrant, and how to operate a portable pump to fill an engine tank from man-made or natural water sources. The session started in the class room where we were given an overview of pumping systems, water storage facilities, reservoirs, hydrants and natural water sources. We went over the steps of moving water from those sources through a fire engine or portable pumps while maintaining proper pump pressures. From the class room we went out to engines for hands on training. Captian Crudo showed us how the different suction sections worked to pull water into the pump and then either sent to the discharge or into the tank depending on which valve was open. We then split up into our four companies and worked together to set up drafting out of mobile water storage containers. We learned to attach the hard suction together then attach that to the main suction on the engine. The strainer was attached to the end and tied off to ensure it was not touching the bottom of tank. The tank was placed less than 20 feet from the engine. We would then suction the water out of the storage container into our engine tanks. From there we hooked up a hose to the discharge and would fill the water back into the storage tanks with a 1 ½ in hose and fog nozzle. We filled the tanks back up and used the water for our portable pumps. We learned to attach the hard suction line and foot strainer to the eye of the impeller on the portable pump. From there we would attach a hose from the impeller discharge to the auxiliary suction on the engine. This was another form of drafting that is used in wild land often to fill up the engine tanks. We would start up the pumps and fill the tanks on the engine. Capitan Crudo, as usual, likes to pit us against each other for friendly competition and each squad had a turn to get timed setting up their hard suction and then the portable pump and get it running. The squad with the best time won. To make things more difficult she switched the engines up on the 2nd round and threw many people for a loop. Squad one got 3rd place with 3 min and 13 seconds and that is all that really matters there. After the battalion finished our competition, we all participated in cleaning up the grounds in order to prepare for the next day. Numerous tasks had to be completed upon dismissal. Each company was responsible for ensuring all tools and equipment were returned to the proper engine and stored as we found it. The battalion used four portable tanks, which were filled with water. These all had to be emptied, along with the engines full of water. In front of the Apparatus bay, water was everywhere, but that just signified that our battalion had learned a lot and got to experience some of the ways water can be drafted. Each of the drained portable tanks was placed inside the Apparatus bay (the garage where our fire engines are kept) right near the CPAT area, in front of all bottles used for our SCBAs. Our gear was originally placed in the Apparatus bay for the morning’s inspection, but was returned to a place called Bunker Row where we normally store it. Once the apparatus floor was clear, our engines could move back inside after the clean up outside was completed. Captain Kromka taught our battalion how to clean each of our engines during our first week; so once Captain Crudo backed them all in, we each got rags and various amounts of cleaning product and began cleaning our engines to ensure they all looked brand new again. The hoses we used were taken to the drying rack to ensure they would be dried before rolling them to be stored. A couple of members let the apparatus bay doors down, and made sure that everything was sealed up and ready for the next day. Captain Crudo debriefed the Battalion, and then Cadet Johns, our battalion officer dismissed us for the day. We started the morning at 0650 with some routine PT. The PT consisted of morning stretches all in formation with our PT leader Cadet Rocha sounding off the count for stretching, after stretching was achieved the Battalion was assigned to a station to start the PT. Stations consisted of a dummy drag, tire drag, pull ups and burpees, tire flips, lunges, hose drags, and a tower run twice with a hose pack on the cadet's shoulder, the tower run set the pace for the station rotations. After PT was completed the Cadets did a post workout cool down stretch. After morning PT and stretching was done each company was assigned a task to set up in the app bay for the lecture that Captain Crudo was going to do for the day. After these tasks were completed the battalion went off to hygiene to get showered and changed into station boot, pants and shirt no blouse. Once every cadet was done with hygiene, we lined up in the breeze way in company order with cover (hat) on head and water bottle in our left hand with our names facing out, once everyone was accounted for we all went to the app bay and awaited Captain Crudo to give a lecture. Captain Crudo started her lecture with reviewing different types of hose, such as wildland hoses with a single jacket to be light to carry up mountains and 4 inch supply lines that were massive in size and used to deliver water from the hydrant to the engine most commonly. Then Captain reviewed the nozzles with fog, straight and solid stream patterns and couplings which are attachments to either help make connections fit or to break off to another spot, such as a gated wye which allows two discharge lines to come off of one trunk line. After the lecture was completed, the battalion was asked to retrieve their hoods from their PPE (personal protective equipment). Then they were asked to put on the hoods backwards in a challenge with their own companies to make the longest attachment possible but blinded by the backwards hood. Alpha achieved the longest length of 51 inches, a well-deserved victory by Alpha Company. Before returning to the Apparatus bay (App Bay) the battalion lined up in formation in the breezeway to migrate as a unit, ensuring to hit their 90’s upon each turn, carrying water bottles in hand and covers (hats) on their heads. Each company was assigned to unload 500 feet of four-inch rubber supply hose line off the bed of their designated engine. Once unloaded, Captain Crudo directed how to uncouple the attached line, using single and two person methods. Incorporating these new skills, each member began coupling and uncoupling each stick of hose until each felt proficient in their ability. Feeling comfortable with the general concept of hose construction, hose layout, coupling and uncoupling, the companies were now tasked with reloading the 500 ft of hose back onto the engine using the method learned earlier in the app bay. This task is made possible by the “Hose Owner” and rear and front-end holder. The Hose Owner is director of the hose line. He maintains constant contact with the hose and directs and communicates hose line placement from the initial entrance onto the engine, to the rear of the bed. Maintaining a constant visual for potential kinks in the line, the Hose Owner would call for a Dutchman or a short load in order to maintain the integrity of the line flow until the entire 500 ft of four-inch house was secured neatly back onto the engine bed. This drill was done a total of three times, with each member of the company taking turns passing, coupling and/or guiding the hose back onto the engine. Special recognition should be given to Cadet Gallagher who set the standard for the level of precision and neatness required to properly stow the four-inch rubber supply hose lines. It was now time to put our skills to the test. Each company unloaded their 500 ft. of four-inch hose combining for 2,000 ft. of connection in an attempt to create a snake-like pattern from the nearest hydrant to the main suction valve of Engine 41. The hope was that all 2,000 ft. would be able to sustain even level of flow without kinking. That hope was lost after the initial 500 ft saw numerous kinks and didn’t pay as planned. Once pressure was finally able to push through the entire 2,000 ft., Captain Crudo directed the battalion in the appropriate and safe way to un-kink our snake-like supply line. With all kinks removed, all 2,000 ft. were broken down and reloaded to their respected engines. Hose rolling was taught next. We held company races to see who could flake out and roll up a stick of hose or 50 feet. First we had Alpha and Charlie companies unroll their hose and roll them back up into an out of service roll, which means leaving the male end of the hose on the outside and in an overhand knot. Next we had Bravo and Delta companies unload their hose and roll it with an in service roll which leaves the female end exposed. Immediately after finishing our race, Fire Technology students were on a tour of the grounds. They challenged Alpha squad to another race where we were hustled by a group of explorers and cadets. Once we were done with the final race, Alpha and Charlie unrolled each stick of hose and washed and scrubbed them with water and push brooms, then hung them on our drying rack while Bravo and Delta put away all of the tools and cleaned up the apparatus bay before we all came together to clean each of the engines. Battalion 50’s day began at 0650. We arrive to campus early to ensure that we have enough time to make a trip to the locker room to drop off our uniforms and lunches then bunker row on the way back to pick up our turnouts that we set up in staging, located just south of the Apparatus Bay. Once our turnouts are neatly folded and placed uniformly, we double time over toward the North side of our drill tower where Cadet Rocha leads the Battalion in stretching and informs us what our work out will be for the day. Cadet Rocha assigned Alpha and Charlie companies to go on a one-mile company run around the facility together. With Alpha and Charlie running, Cadet Rocha assigned Bravo and Delta to do a series of 30-yard sprints between cones placed in the parking lot. Bravo and Delta’s circuit ended once Alpha and Charlie were complete with their mile run. Once companies were through with their first assignments of PT, the groups switch assignments. After rotations were complete, Battalion Officer Johns thought he would implement a little competition between companies due to the amount of time left for PT. 50 wanted each company to do a relay against each other of 30-yard sprints. All companies enjoyed the competition against each other. Drill station set up started after workout. Alpha was assigned to set ladders up while the other three companies would go off to hygiene. Alpha set up three 14’ Roof Ladders and three 24’ ft. Extension Ladders just south of the tower for our “Introduction to Ladders” with Captain Hundley of Oxnard City Fire Department. Captain Crudo wanted all of the battalion to meet in the breezeway in station pants, boots, nametag, hats and blouses then funnel into the classroom to elect a Battalion President. Nominations were written on the board and the Battalion voted. Captain Hundley arrived during the elections and began his presentation while votes were counted. He shared his extensive knowledge of ladders and how to set them up, and explained the proper commands to give when doing so. The introduction included the types, sizes and use of ladders we will be handling, along with the verbal commands we will shouting as we handle the ladders. Once the introduction was completed Captain Hundley wanted all the battalion to meet him outside just south of the tower with our PPE (personal protective equipment) on, which included our helmets, brush jackets and utility gloves. We met in a half circle around the ladders that were set up in the morning by Alpha Company. Captain Hundley gave us a demonstration. He showed us how to throw ladders with the proper technique and command. With all of the cadets itching at a chance to throw their first ladder, they eagerly jumped at the opportunity to practice with one of the three aluminum 14’ roof ladders. Lunch followed the drill. Captain Crudo led a structured knot tying practice. Different knots were called out to practice tying within a certain time range. The callouts got more complicated with multiple knots being tied in succession. The Battalion raced to don PPE and tie the designated knot. We competed against each other for four rounds, while also learning and honing our skills. We then practiced properly donning our SCBA, which included helmet, hood, and face piece connected to our SCBAs. As the end of the day neared, we were instructed to stow our PPE back in bunker row but with a twist. We were ordered to take everything else off before we could take our facemask and mask mounted regulator off. The battalion returned to class for their first exam of the academy. Tests were taken one at a time until the 4 chapter exam was complete. The first cadets finished with their exam were assigned colors. Once colors were bedding appropriately, finishing cadets were free to dismiss for the day. Welcome to the return of the Academy Blog Series. This semester the blog will follow the academy lives of Battalion 50, a group of forty-two cadets coming from a variety of backgrounds and levels of experience. Readings will post every few days with topics surrounding the Battalion’s story a day at a time. Each article written will be from an assigned cadet’s point of view. Every cadet has a writing assignment for a specific day. Entire companies have also been assigned a group written effort specific to a given week. This semester is a historical one as it marks our 50th Firefighter 1 academy. The battalion has appropriately chosen their motto, ”Honor the Legacy”. Their elected President is Cadet Rocha, Treasurer, Cadet Blaker and Event Coordinator, Cadet Hanna. August leadership appointments consisted of Cadet Johns, 50, as their Battalion Officer, Cadet Henngeler, 150, will be serving as his deputy. Henngeler played double duty and was also appointed as Alpha Company Officer, Alpha 1. Bravo 1 was Cadet Galindo, Charlie 1, Cadet Mahoney and Delta 1, Cadet Fricke. These cadets were appointed as first round officers because of leadership and previous training strengths. Three of the four officers successfully graduated from last summer’s Wildland Fire Academy, finishing with high marks. September began with newly appointed officers. August leaders will now serve in company mentorship roles as they guide incoming peers. We hope you enjoy following Battalion 50’s semester story. Whether you read as a family member, friend or interested person, I’m convinced you’ll be anxiously awaiting each article.